Stern Fisher Edwards was ordered to pay an investor $300,000. In June, 2016, a three member FINRA arbitration panel sitting in Los Angeles, CA issued a $300,000 binding arbitration award against Stern Fisher Edwards and Charles Bohlen.. The underlying matter involved allegations that Stern Fisher Edwards and Charles Bohlen breached their fiduciary duty, were negligent and failed to supervise in relation to the improper withdrawal of funds from Claimant’s account. After a three day arbitration hearing in April, 2016, the arbitration panel rendered their decision and awarded the customers over $300,000 in damages. As a result of this award The Law Office of David Liebrader has opened an investigation into Stern Fisher Edwards and Charles Bohlen. Stern Fisher Edwards broker check report lists one customer complaints and a BDW filing in April, 2016, meaning the firm is no longer licensed to do business. FINRA Code of Arbitration Procedure section 12904 governs the issuance and payments of awards. Key provisions of the rule are that the award may be entered as a judgment in any court of competent jurisdiction, after a motion to confirm the award is filed pursuant to state or federal law. Furthermore, unless the applicable law directs otherwise, all awards rendered under the Code of Arbitration Procedure are final, and are not subject to review or appeal. 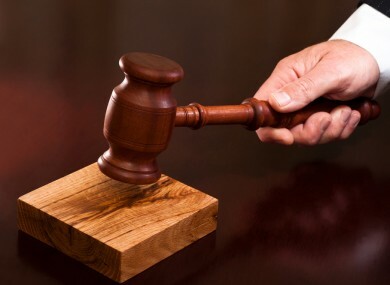 Grounds for overturning binding FINRA arbitration awards are extremely limited. Stern Fisher Edwards and Charles Bohlen had thirty days to pay the award, or to seek to have the award vacated. If you are the victim of investment fraud, or if you have lost money investing with Stern Fisher Edwards and Charles Bohlen please call The Law Office of David Liebrader at (702) 380-3131 for a free, confidential consultation to discuss your legal rights and options. Our firm takes cases on a straight contingency fee, with no money up front, and no money owed unless there is a recovery.